I am always looking for something to add to my campaign to keep my players on their toes. One of the ways that I try to break up the predictability of my style of encounters with my players is to use other peoples. One of my favorite resources has always been Dungeon Magazine. I have a pretty extensive collection of the early ones and they have some good scenarios in there, but it can be a challenge finding one I haven’t used and then converting it for use in the 5th Edition. I recently saw someone posting on Twitter about Encounters In The Savage Frontier and thought that I would check it out. 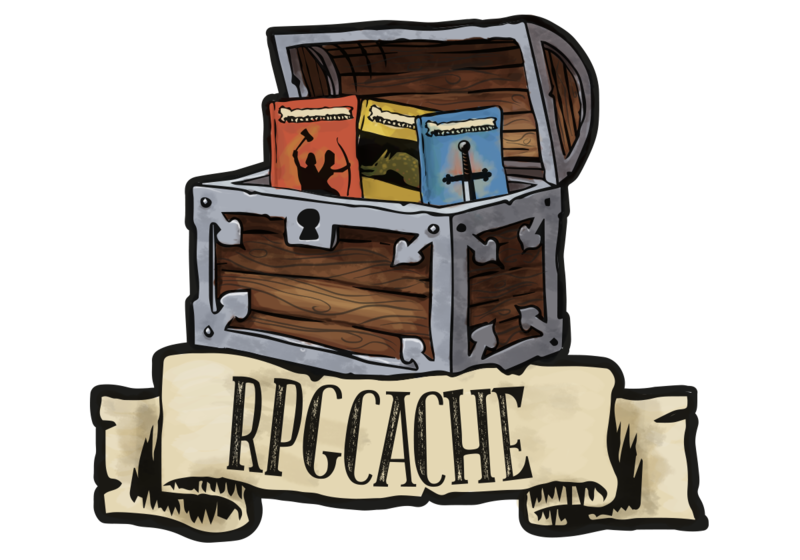 This is a PDF download located on the Dungeon Masters Guild. Those of you who follow me here or on Twitter probably know that I am not a big fan of the digital goods, but when a resource isn’t available in the media that I prefer I am not going to shun it. This is a 72 page PDF and has 24 short encounters. The table of contents is well organized showing the name of the adventure, the challenge rating, and a link to get you to that right page. This book has many contributors, but the editor who compiled this did a good job of giving them consistency in the layout. This is part of the reason why I find Dungeon so useful is that I can quickly review a bunch of different material without having to pour over every word to figure out if it was going to work for me or not. I found the stat block at end of each encounter to be very useful for first figuring out if it was going to be a good fit for what I was looking for as well as when running the encounters the reference to the monster manual page and short details of it’s attacks and abilities. 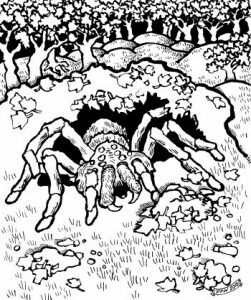 The book has original artwork like this of the Trap Door Spider from the “Spider and the Bear” encounter which is one of several new monsters that are included. Some of the encounters introduce new magic items that are detailed with them as well. I always like new magic items, but it has been my experience that some of the unofficial magic items can be overpowered or ripe for abuse. The color maps in the book are not a style that work for me as I find them distracting, but I suppose they are typical of what was done in a lot of the 3rd edition stuff. I have had the PDF for a couple of weeks and incorporated an encounter from it in each of my last two sessions. It would be nice if they had a greater range of challenge ratings and at least one that was higher CR than 7, but with just a few adjustments these can be more of less difficult. Definitely worth my $3.95.